Derek was born in Glasgow where he attended Sunday School and Boys Brigade and then moved in his teens with his family to Coatbridge in Lanarkshire and joined the church as a 22-year old. He studied Civil Engineering at Glasgow University graduating in 1980. His career took a change in direction when he joined the Royal Bank of Scotland Graduate Scheme in 1981 and has held various position within the bank.Derek married Dorothy in 1984 and they set up home in the south side of Glasgow and joined their local church, Thornliebank – where he later become an elder. A work transfer to Edinburgh saw Derek and family move to Cairneyhill where both he and Dorothy brought up their three boys, Craig, Grant and Lachlan. 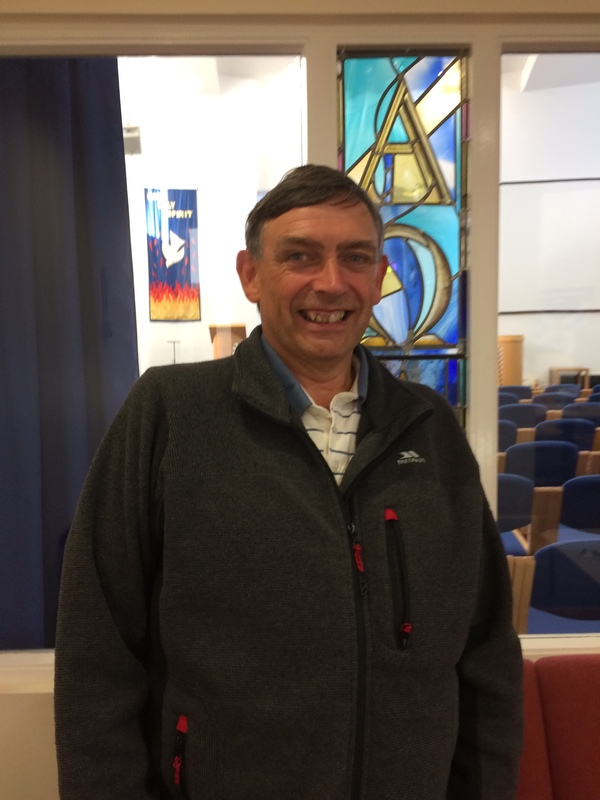 Derek held the position of Session Clerk at Cairneyhill for 21 years before passing on the baton last year and has been involved in Dunfermline Presbytery since 2007 holding various roles. A founder member of his church cycling club, he has covered many miles on his bike both at home and abroad and helped raised money for charities along the way. One of Derek’s lifelong interests has been with the Paddle Steamer Waverley where he helped out as a volunteer, worked during university holidays and still takes several sailings “doon the watter” each year. Derek considers it a privilege and honour to be asked and is very much looking forward to his year as Moderator within Dunfermline Presbytery. He recognises the challenges facing churches today and the need to do things differently. With a decline in membership it is important to move forward in faith, engage fully and focus on working together both at a local and wider church level.